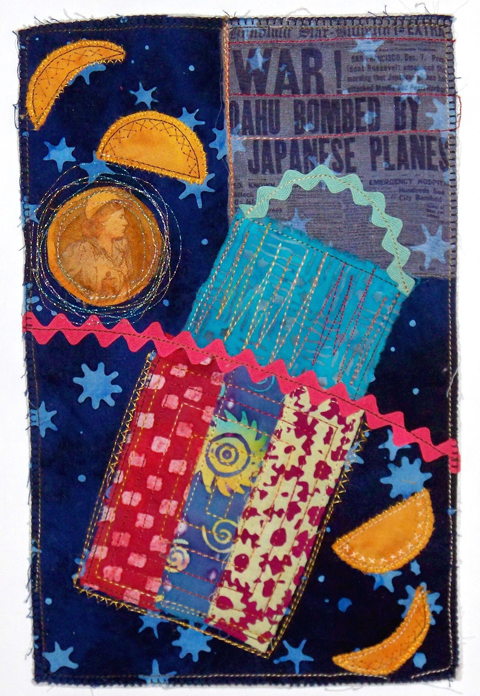 Quilts Honor WW II Women. During World War II, many U.S. women changed out of their gingham kitchen aprons and donned heavy protective factory aprons to support the war effort. This took place all across the country. In the 1940’s Penn State’s Allentown Extension campus offered courses in drafting, chemistry, management, and civil defense. 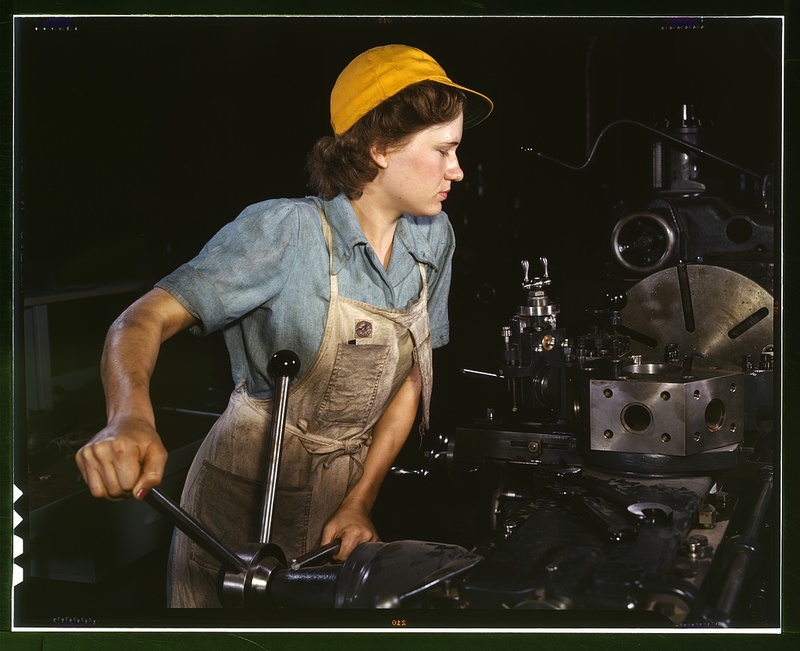 Women enrolled in extension courses and became gainfully employed by local industry. To celebrate this part of its 100-year history Penn State Lehigh Valley is mounting a commemorative exhibition. 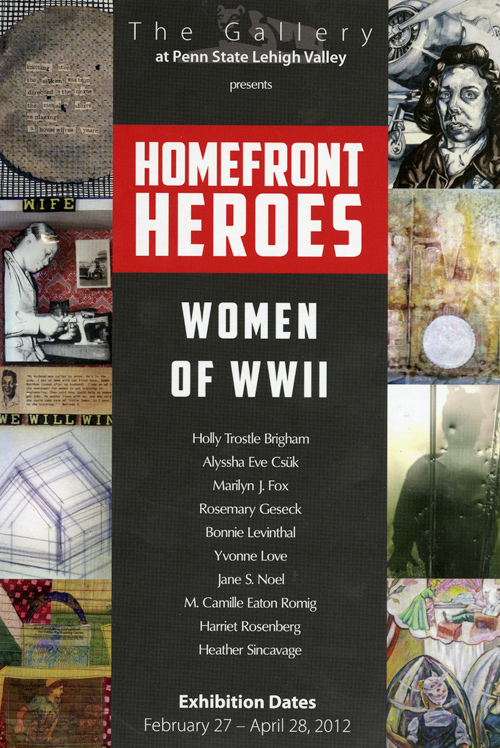 Ten woman artists honor the “Homefront Heroes: Women of WW II,” from Feb. 27-April 28, 2012, at the Gallery of Penn State Lehigh Valley Campus. 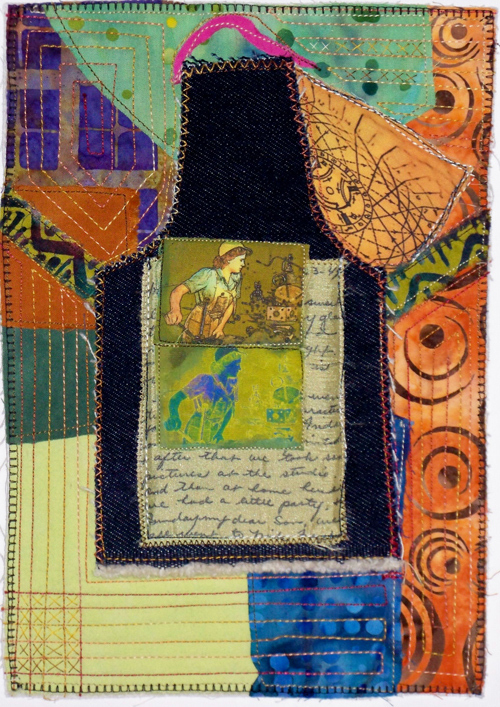 Camille Eaton Romig contributed nine quilted rectangles illustrating this metaphor of changing aprons. She calls the series For the Duration. The panel below includes the 1941 headline: “WAR! Oahu bombed by Japanese Planes.” Camille’s father was stationed at Hickam Field, Pearl Harbor’s ground zero, on that date that will live in infamy. I asked Camille about how she created this project and about her parents. Original War Office photo from the collection of Library of Congress. The postcard above lists the other artist participants. More info on the PSLV Gallery, including location and hours, can be found here. Love these images. I also love the use of a traditionally female aesthetic to retell the history of a very specific US experience. 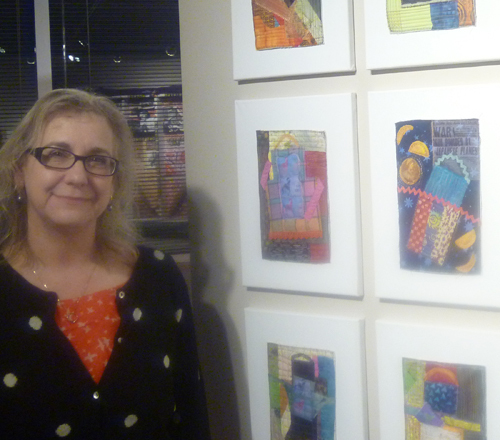 Nice work Camille, you are progressing nicely as a fiber artist.